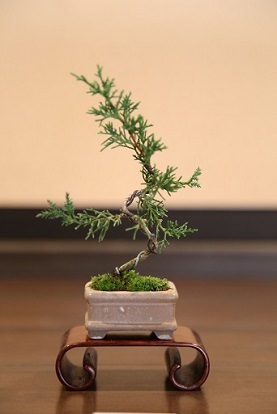 Bonsai are potted miniature trees, and considered Japanese works of art. The tiny tree is carefully trimmed to aesthetically design the shape and form of the tree. More specifically, the leaves may be trimmed, the trunk pruned and branches wired to create the desired forms. 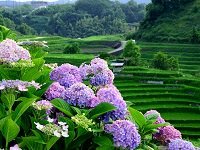 As any other plan, regular care such as watering is also necessary to continue the look of the bonsai and keep it alive. 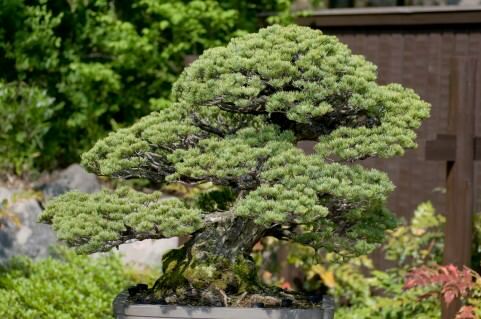 There are many different styles of bonsai, ranging from the upright look or slanting look to the windswept or cascading look. 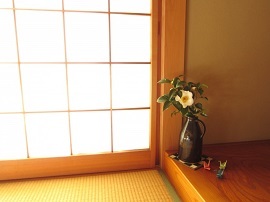 Today there are a number of museums and exhibitions that display bonsai. The Omiya Bonsai Village in Saitama is also a popular destination for bonsai fans. 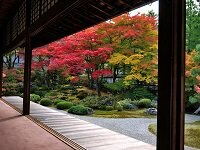 It consists of multiple privately privately owned bonsai gardens and displays hundreds of thousands of bonsai. An interesting way to appreciate bonsai is to lower your perspective to the level of bonsai and imagine yourself looking up at the trees, as if you were a tiny human being in a park. Basic bonsai shape. The branches should be symmetrically balanced. The shape of a trunk, at an angle, that has been affected by wind or other natural conditions. The shape that reflects a tree surviving on the edge of a precipice, made with stones. The shape of a bonsai tree grown out from a precipice, with the edge of the tree hanging down over the container's edge. 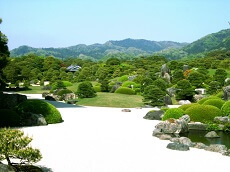 Want to see bonsai trees during your vacation in Japan? 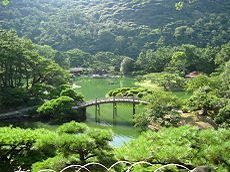 Join any of Japan Deluxe Tour's fully-guided Takayama Festival Japan Tours or Southern Japan packages to see bonsai trees at Japanese gardens. 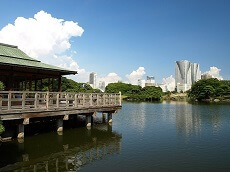 You can also customize a package with our affordable range of custom tours to explore the best Japanese gardens during your vacation in Japan! 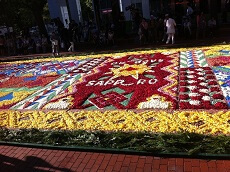 The Japanese form of flower arrangement. 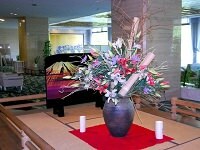 Chabana is the term used for the arrangement of flowers in a Japanese tea ceremony.